The 15-year-old is due to be sentenced for one count of robbery later this month. 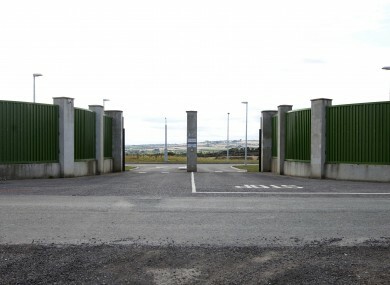 The Oberstown children's detention centre. A 15-YEAR-OLD boy who hit another teenager over the head with a wooden post and robbed his bike is at “real risk of institutionalisation”, a Dublin judge has been told. The boy, who cannot be named because he is a juvenile, is currently serving an eight-month sentence in Oberstown Children’s Detention Campus for assault and threat-to-kill charges. He has 24 previous convictions and spent 12 months in custody last year. He pleaded guilty in Dublin Circuit Criminal Court to one count of robbery at a church in south Dublin on 6 April 2017. Yesterday, Garda Jennifer Quinn told John Quirke BL, prosecuting, that the 17-year-old victim was in the churchyard with his bike around 7.30pm on the evening in question when he was surrounded by a group of six boys, including the accused. The victim said he had known the accused for about two years and was “wary” of him, the court heard. He said the boy demanded his phone but he refused. Another boy started cycling his bike around him before the accused and two others punched the victim, causing him to fall down. The accused boy then hit the victim across the head with a two-foot wooden post, the court heard. The victim managed to get away and run home. He told gardaí he was “scared for his life”. The bike that was stolen was worth €350. He declined to make a victim impact statement. The accused was arrested by gardaí the following day. He was “aggressive” throughout the interview, Quirke said, and initially denied he was there when the bike was stolen. You don’t have f***ing anything. Where’s your CCTV? Towards the end of the interview, the boy made some admissions and told gardaí he was sorry for what happened to the victim. He pleaded guilty at his first court appearance last month. Judge John Aylmer will sentence him on 24 July. The boy’s previous convictions include assault, criminal damage, theft and burglary. He is also facing a further charge later this year of assaulting a care worker. Quirke said the boy was detained in Oberstown for 12 months last year. He was out for about one month when this incident occurred and he was immediately placed back in custody. In May, he was sentenced to eight months’ detention for assault, theft and making a threat to kill. This is his first Circuit Court offence. Defence barrister, Pieter Le Vert BL, told the court the boy’s home situation was “challenging and difficult”. He said he hadn’t seen his father in a number of years and had been in and out of care after his behaviour proved too challenging for his mother to deal with. The boy, who was supported in court by his mother and a brother, started drinking alcohol and using drugs at the age of nine and expressed suicidal thoughts at the age of 11, the court heard. While in care, he frequently ran away to try to return to his mother, Le Vert said. Although he has been diagnosed with a mild learning disability, he sat a number of Junior Cert exams while in custody. Upon his release from custody earlier this year, he had “great hopes” he would be able to attend school, however social workers decided he should be home-schooled, the court heard. “As a result of not being engaged in a structured regime, that led to this re-offending,” Le Vert said. He described his client as a “well-spoken young man” who was extremely remorseful for his actions. He said the boy had spent the last two Christmases in custody and had reported he was starting to forget what it was like to be free. Le Vert urged Judge Aylmer to consider handing down a suspended sentence. The boy is due to be released from custody for the other offences in November. He said the boy was at “real risk of institutionalisation”. “The risk we run of damage to (this boy) by continuing and ongoing custody is one that far outweighs the need to punish him at this point in time,” Mr Le Vert said. Comments have been closed as legal proceedings are ongoing. Email “Teen with 24 convictions who started drinking and taking drugs aged 9 'real risk of institutionalisation'”. Feedback on “Teen with 24 convictions who started drinking and taking drugs aged 9 'real risk of institutionalisation'”.